After a few visits to City Voices rehearsals, you can choose to audition for membership in the chorus. Our Director or an Assistant Director will help you choose which of our four parts – lead, bass, baritone or tenor – works best for your voice. You will be given a piece of music to learn and we will provide you with the tools, assistance and support you need to succeed in the audition experience. 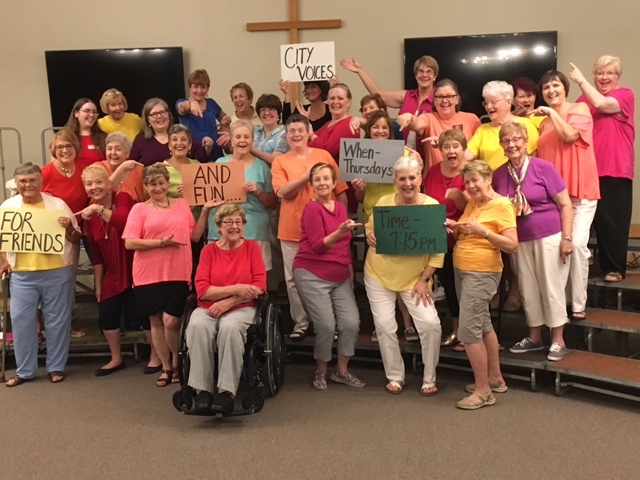 If you would like more information about visiting a rehearsal or auditioning, contact: Sue (314)691-1065 or email the chorus at cityvoicesstl@gmail.com..